Join Community Care Network of Kansas for the Substance Use Disorder Training Conference which will feature engaging presentations and discussions regarding treatment strategies and best practices. National and local speakers will provide more insight on multifaceted community approaches to SUD, team based care, sustainability of integration models, and more. Wednesday, May 15 | 7:00 a.m. to 4:30 p.m. If you have any questions about this event or need assistance to register please contact Theron Platt , Pam Smith or Susan Wood. Make plans to attend this Thursday! Thursday, April 18 | Noon to 1:00 p.m. Discuss the importance of vaccine safety in the context of mature immunization programs. Identify the strengths and limitations of the many processes to ensure vaccines are very safe throughout a product lifecycle. Three new Kansas Head Start Association (KHSA) Parent Health Literacy training classes are being offered for this spring. Attendees will receive the resources needed to teach parents how to use the “What To Do When Your Child Gets Sick” book using effective, evidence based teaching methods. The Parent Health Literacy project partners with agencies, medical providers, schools and human services organizations who serve families with young children to provide this important health literacy resource. This training is appropriate for any staff who work directly with parents/patients, supervisors and program directors. We encourage you to share this information with parents in your practice. The training is free. 3 CEUs are available for $15. Please see the brochure and the KHSA website for further information about the Parent Health Literacy Project. 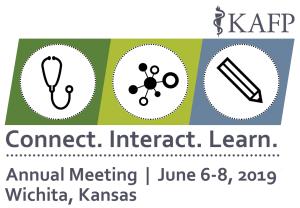 Register for KAFP Annual Meeting: Connect. Interact. Learn. https://kafponline.org/wp-content/uploads/2018/01/KSSPTG_web_large.png 0 0 Marina https://kafponline.org/wp-content/uploads/2018/01/KSSPTG_web_large.png Marina2019-04-08 17:52:252019-04-09 13:11:12Register for KAFP Annual Meeting: Connect. Interact. Learn. I’ve known for years that Kansas members are the best! Today I have more proof. Our members account for only about 1.5% of the total membership of AAFP. We had a disproportionate share of chapter members who completed the arduous AMA/RUC survey last month. Kansans accounted for 5.6% of the total number of AAFP members who completed the survey. This survey will have a positive impact the payment rates far into the future. To those who completed it: I thank you, the chapter leadership thanks you and AAFP thanks you! Elections for District and Faculty Directors are conducted by U.S. Mail ballot. 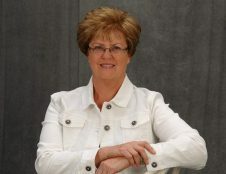 Districts 1, 3, 5, 7 and Faculty Directors (Kansas City campus and Wichita/Salina campuses) are up for election this year. Ballots have been mailed to all voting members in the those respective districts/campuses and must be returned to the KAFP office by Tuesday, May 7, 2019. Questions? 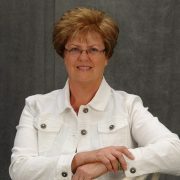 Contact KAFP at kafp@kafponline.org or 316.721.9005. View all candidates running for KAFP Board of Directors and read their candidate statements on the KAFP website at www.kafponline.org/boardcandidates. The Kansas Department of Health and Environment (KDHE) has released its first annual report from the Kansas Pregnancy Risk Assessment Monitoring System (PRAMS). The 2017 PRAMS Summary provides information from women who are interviewed about their experiences before, during and shortly after pregnancy. Forty-seven states participate in the PRAMS survey, covering approximately 83 percent of all live births in the United States. Kansas joined the PRAMS project in 2016 and began data collection in 2017. Read the full report here. • Two-thirds of mothers (67.0%) had a health care visit in the year before their pregnancy. • More than 4 in 5 mothers (85.7%) received prenatal care during the first trimester of pregnancy. • Almost 1 in 8 mothers (12.4%) exhibited signs of having depression in the 2 to 3 months after giving birth. • Nearly 3 in 4 mothers (72.6%) had experienced at least one stressful life event during the year before delivery. • Approximately 9 in 10 infants (90.1%) had been breastfed or fed breast milk, even if only for a short period of time. • Most mothers reported placing their infants to sleep on the infant’s back most frequently (80.2%), versus on his/her side, stomach, or a combination of back, side, and/or stomach. 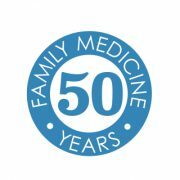 In celebration of the 50th anniversary of family medicine, AAFP will post two questions a month on the Facebook Event Page, Twitter and Instagram for you to respond to by uploading a video or adding a comment. The hashtag is #FMed50. To participate be sure to follow AAFP on these channels and use #FMed50 with your post. After FMX, the AAFP will share anniversary content from FMX to keep the celebration going. Resolutions are the official means by which you as a member have input into the Academy’s governance and political process. The official resolution process adopted by the KAFP Board of Directors is on the KAFP website. You are encouraged to submit a resolution if you have a topic you are interested in addressing. KAFP can help guide you through the process of writing your resolution. A resolution writing worksheet is available on the website along with important dates. Contact KAFP at kafp@kafponline.org or 316.721.9005 for resolution assistance.